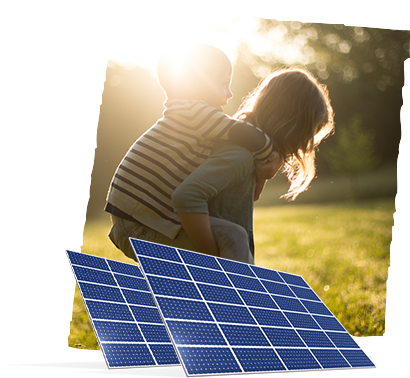 Join the 900,000 homes powered by solar. New Mexico ranks 15th for the most solar capacity in America. In 2015 alone, the state spent over $80 million to install 56 megawatts of solar panels. By 2020, New Mexico aims to have 1,500 additional megawatts installed, so it can power over one million homes. The only thing getting in the way of this goal is a lack of legislation on solar tax credits. However, homeowners may still capitalize on solar savings thanks to lots of sunshine and low kilowatt prices. New Mexico has the lowest average monthly electric bill in the country—$75—which is 30 percent cheaper than the national average. While electric rates are fairly inexpensive, homeowners in New Mexico are in a unique position to save more with solar. That’s because the state gets 300 days of sun per year and solar kilowatt prices are just three to nine cents per kilowatt. Compared to New Mexico’s average 11 cents per kilowatt for grid electricity, it’s clear to see the savings opportunity. If you want exact numbers, you can fill out a form to get a quote from a top solar company. Or, use our solar cost calculator to estimate your solar savings. The entire nation can benefit from a 30 percent federal tax credit on solar panels. That means if you purchase solar panels, you can get 30 percent of the purchase price back in credits. Homeowners who lease, finance, or have a solar PPA probably can’t take advantage of this big tax break, but it’s a great incentive for people who buy solar panels outright. There are 72 programs New Mexico homeowners can leverage to save on solar. Browse the solar credits and rebates in your area to cut your energy costs even more. Sometimes solar panels produce more than enough energy to power your home. If you’re hooked up to city utilities, this power flows back into the grid. What does this mean? Money back in your pocket. People who own solar panels receive energy rebates from utility companies, but check to see if your solar company offers these incentives for solar PPAs, leases, and financing. SunPower is an innovative company with 600 patents for solar technology and a world record-setting plane, the Solar Impulse 2. 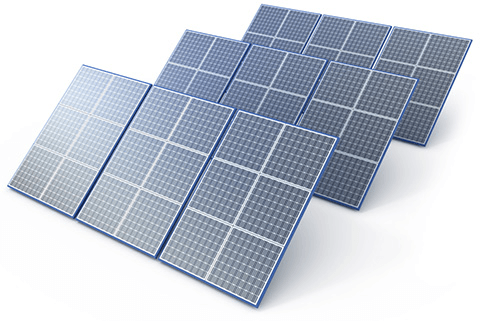 In addition, SunPower has an app that allows customers to view real-time energy data from their solar panels, solar cells that produce 70 percent more energy over 25 years than conventional panels, and a sleek panel design that blends in with your home. If you’re looking for high tech and high design, SunPower is an ideal company for you. In 2011, Vivint launched Vivint Solar. Today, people in 12 states and Washington D.C. can tap into the company’s 10–30 percent savings on energy bills. You can also opt to lease, finance, buy, or get a solar PPA from Vivint Solar. And, if you’re interested, you can upgrade your home with Vivint home security and automation products. Vivint is a one-stop shop for those who want a truly modern and efficient home. New Mexico has grand plans to install nearly 1,500 additional megawatts of solar capacity by 2020. However, state lawmakers are jeopardizing this goal. In 2016, the state did nothing to extend a bill that provides tax credits to homeowners who install solar. It also didn’t act to expand state tax credits that benefit and encourage energy companies to come to New Mexico. While there are 72 local programs homeowners can tap into to save on solar, New Mexico needs to do more to make solar a popular and feasible option for its citizens. The state has a goal to install 1,428 additional megawatts of solar by 2020. Almost 1,900 people work for New Mexico’s 114 solar companies. New Mexico installed 56 megawatts of solar capacity in 2015, ranking them 15th in the nation for that year. New Mexico invested $86 million in solar installations in 2015. New Mexico has the 13th most solar capacity in the nation—400 megawatts. This organization regulates utility companies. Read about what’s happening in your area and get in touch with employees. See how upcoming legislation will affect your solar savings. Find all of the money-saving programs in your area. Check out energy stats, find contact information, and more.